Kamal Mansharamani and Atul Bhatia go back a long way. They worked together at DCM Technologies for around 20 years, where Kamal was the COO of the company. Kamal left DCM Technologies to head Birlasoft and helped it grow from 400 to 5,000 employees; and, soon after, Atul too left and founded nSys, a software product company. Atul had a successful exit when his company was acquired by Synopsys in 2011; and Kamal left Birlasoft in 2008 to start AlmaMate Info Tech. Highly successful professionals, their roads were to cross again. “While running AlmaMate, I realized that we did not have access to sophisticated tools like we had at Birlasoft. The solutions available were too expensive as they were designed for large enterprises. Atul too had faced similar problem and had to develop a solution in-house,” says Kamal. Both of them felt that the Small & Medium companies needed access to ERP that they could afford and in the meanwhile, cloud and mobile technologies had gained rapid acceptance. Atul was excited enough by the idea to not only do the angel investment but also join as co-founder. And hence came into being, workXmate, a cloud ERP for software and services SMEs. workXmate basically simplifies the complexities of business systems so that companies can focus on their core. 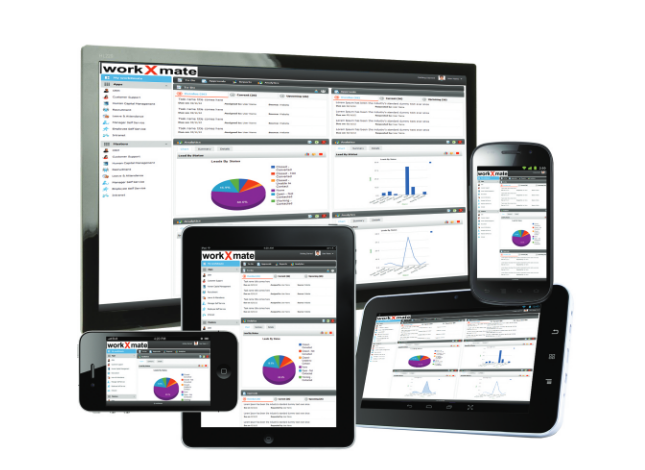 workXmate provides SMEs integration for all their business functions like CRM, HCM and project management. It in a way reduces the effort required by the management team in doing repetitive administrative tasks. They started putting together a team about two years ago. “Within no time we had a team of 25 engineers working on development of workXmate. After 18 months, the team had grown to almost 45 engineers and their hard work resulted in workXmate being launched during TiEcon13 in New Delhi,” says Kamal. workXmate had five companies using the product before the launch and are on a roadmap to acquire 100 customers is the current financial year.